Dr. Collins is Chairman of the Department of Ophthalmology, Director of Pediatric Ophthalmology and Strabismus and Director of Resident Education for the Ophthalmology Residency Program. She provides comprehensive ophthalmic care and surgery for pediatric patients and holds special interest in amblyopia, lacrimal disorders and pediatric and adult strabismus. 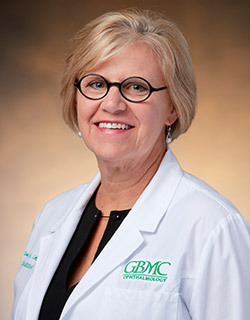 In her new position as Chairman, Dr. Collins plans to expand and improve access to primary eye care services on GBMC's campus, support comprehensive and subspecialty ophthalmology medical staff members and advance the academic and teaching mission of the Department. 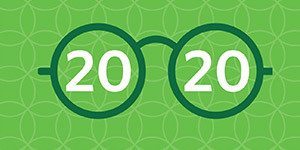 Dr. Collins has also served as the consulting ophthalmologist at The Maryland School for the Blind since 1993. January 4, 2019 We do like Dr. Collins, however, [...] we were forgotten about--confirmed by Dr. Collins--she did not meet with my son until 6PM for a 4:30PM appointment. He was spent, exhausted, defeated from the nurse. My son is in bed by 7PM on a regular night. He was tired and hungry for dinner. Therefore, Dr. Collins simply said that he was too tired to continue with the exam, and I had to schedule another appointment for a month later in January. How incredible. I find myself getting upset all over again [...]. January 2, 2019 Dr. Collins is always thorough. It's why I decided to go out of network to see her originally. October 25, 2018 We love Dr Collins! We drive from Bel Air to see her every 6 months. Definitely would not even think about ever changing providers! September 20, 2018 I always recommend this care provider and her team. August 12, 2018 We LOVE *Dr. Collins & recommend all our friends w/ ophthamolic (pediatric) needs to her & *Dr. Jencer. They are very knowledgeable, evidence basted practice, and kind & compassionate. June 4, 2018 Dr. Collins is the best! She is so good with the little ones and really is a fantastic physician. Like all doctor's offices, sometimes the wait can be long, but that's because she spends as much time as possible with us during our appointment and never rushes through. I never leave there feeling that I didn't get my questions answered or that I got short changed. I wish we could see her for all of our medical visits and not just for eyes! !